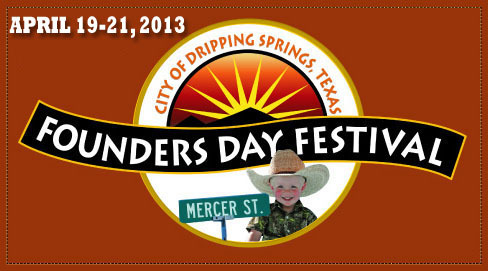 The annual Founders Day Festival held in downtown Dripping Springs commemorates and celebrates the founding of our community in 1850 by the Moss, Wallace, and Pound families. The festival promotes cooperation and volunteerism in the community and generates community spirit and recreation. KDRP Radio - KDRP 103.1, KDRP LPFM is non-profit community radio station serving families in Dripping Springs and the Texas hill country.